Thanks to everyone who attended our second “roaming” luncheon earlier this month at SHP downtown. The Qdoba bar was great, and ASHRAE Distinguished Lecturer Dru Crawley’s presentation was engaging and interesting. Mr. Crawley was kind enough to share a PDF of his presentation slideshow with our chapter, but we didn’t want to blast everyone with an 8 MB file, so if you are interested, please email me and I will send you a copy. I also want to send out another thank you to SHP for hosting and organizing the food delivery, and Ketchum & Walton for sponsoring our lunch! So… we have a busy couple of months planned! I guess my Presidency is going out with a bang… Please read on to see the THREE awesome events at which we hope to see all of you! See Page 3 link at bottom for all information on the monthly meeting, including the link to pay/register, and directions to the event. Our next big event after the April meeting is the annual May Golf Outing on May 13, benefitting ASHRAE Research. You should have received a flyer about that event as well (again, check spam/junk if you have not). The information is also in the “Golf Outing” ribbon tab above. We hope you are busy assembling your foursomes, but we also hope you scroll through the flyer pages and check all the opportunities to sponsor the event. Want your company’s name on a keg out on the course? Want to have us give away some of your company-logo “swag” as a door prize? All the details are included, so please look for that. As always, the money goes to a great cause, while we all have a fun day on the links. As mentioned last month, our new RP Chair, Paul Bennett, has been hard at work with his RP Committee, organizing a joint RP (research promotion), MP (membership promotion), and YEA (Young Engineers Association) outing. As Paul revealed at the March luncheon, it will be an outing to the Cincinnati Zoo, on the Saturday of Memorial Day weekend. Best of all? It’s a family-friendly event with discount tickets. We encourage you to bring family, friends, and anyone you know. There will be raffles and other fun activities, and ASHRAE members will have the opportunity to take a short technical tour “backstage” in the Hippo Habitat, to see the mechanical equipment that keeps Fiona and her family happy and healthy. Please see the flyer, also attached, for more details. There will be even more details forthcoming. It should be a fun family outing! We have added a “Zoo Outing” tab to the ribbon above – please click there for more details! Whew! Enough stuff for ya? I’m excited for all the fun we have in store this Spring… and I hope you are as well. We are already taking reservations for sponsorships of lunches and providing of venues for next year. Interested in sponsoring a lunch next year? Your name will be listed in our newsletter and you’ll receive special recognition before and after the lunch presentation. Contact me at the email address below. Interested in providing a venue next year? (minimum 60 seats, preferably with A/V already existing)? Contact me at the email address below. Note: we have made the decision that meetings will not be hosted at sales/vendor sites, only engineering firms or other non-industry-related sites. We feel this is best for “neutrality.”? As always, I am open to your comments, suggestions, and thoughts. Let me know what you think. We, the board, are here to serve you. Thanks again, and I hope to see you at many of our upcoming events. 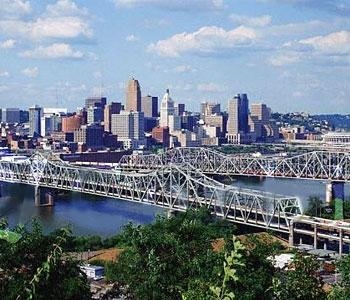 This web site describes the activities of Cincinnati ASHRAE Chapter of ASHRAE, Inc. . It does not present official positions of the Society nor reflect Society policy. ASHRAE is not responsible for this site's content. To learn more about ASHRAE activities on an international level, contact the ASHRAE home page at http://www.ashrae.org.